Watch four days of set construction in under a minute. A lot of hard work goes into planning, designing, and constructing an excellent broadcast studio set. While we'd love to share a time lapse of our design team laboring over sketches, renderings, drawings and multiple pots of coffee; we thought this quick video of the WVUA set build out would be more interesting. The new set launched earlier this year. Alicia Viteralli and the team at ABC6 take a sneak peek at Philly from the Top, Philadelphias tallest observation deck. 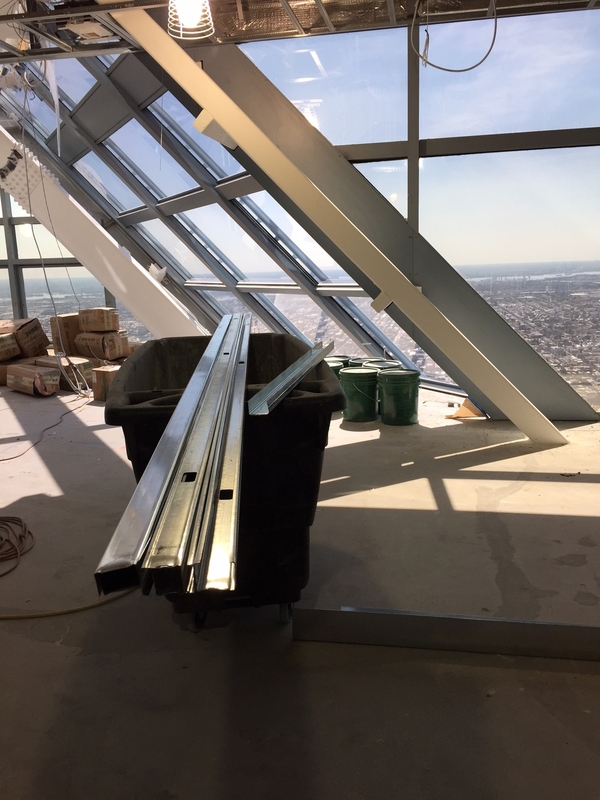 Watch out Philadelphia, an exciting new project is coming to completion and we're excited to share a sneak peak behind the scenes. Philly from the Top will offer unrivaled views from the 57th floor of One Liberty Place. Including interactive visitor environment and rich interior graphics, we can't wait for the grand opening scheduled this October. ARISE NEWS New York Bureau. New entertainment set installation and launch. View of media shoot-off wall. Bears visitor experience and broadcast studio Halas Hall renovation begins. Current interiors/broadcast studio project in progress. Construction to be completed 2013.